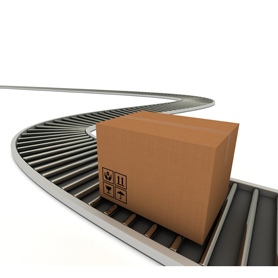 Well at eFulfillment Service, we do one thing…eCommerce order fulfillment…and we do it well. This core focus of ours is one of the reasons we’ve been called the “ultimate choice in order fulfillment,” and why the Mailing & Fulfillment Service Association (MFSA) has described us as “one of the best and brightest” within our industry. At eFulfillment Service (EFS), we provide inventory storage and fulfillment services to eCommerce sellers of all types and sizes. Here’s a bit more about our fulfillment company. eFulfillment Service was founded by John Lindberg in 2001. Since that time, we’ve remained a family-owned fulfillment business committed to upholding the things that make our company unique, including our simple, straightforward terms, our reliable, first-rate service, and the distinguished level of support that we provide to each of our clients. Running an eCommerce business isn’t easy. It requires time, money, a little creativity, and a whole lot of passion. As a growing business, you also need flexibility. And at EFS, our fulfillment services conform to your needs, transforming fixed costs, such as warehouse rent, into variable costs that can easily scale with your business. Our friendly terms make things even easier. At EFS, we don’t have minimum order requirements. We don’t have setup fees. You pay only for the fulfillment services you actually utilize, and you pay for them as you go, with no long-term contracts. As a leader in eCommerce fulfillment, we have pioneered easy-to-use technology that provides online merchants with visibility and control. Our web-based fulfillment software allows you to check inventory, orders and shipments from anywhere in the world with an Internet connection. Our software integrates with over 30 of the most popular shopping carts and systems, allowing your orders to flow seamlessly into our Fulfillment Control Panel. From there, our team quickly picks, packs and ships your orders with over 99.9% accuracy, all while keeping you and your end customers in the loop. Since 2001, we’ve been proud to enable rapid growth for hundreds of online sellers from around the world. Allow us to show you the difference that we can make for your eCommerce business. Request a free quote today, and ask about our risk-free trial period.